Horoscope is all about planetary positions and their effects in our life. As the planetary positions are changing every moment in our solar system so obviously their influences are also changing too. So it is really necessary to have a yearly horoscope report in your hand as every New Year brings new opportunities, events, hazards and the most important is new challenges. 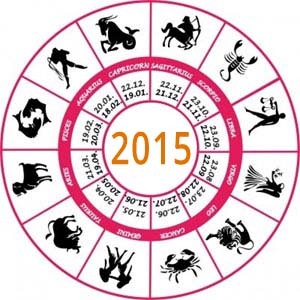 Yearly horoscope report 2015 tells you all the forecasts and possibilities so that you can anticipate how 2015 is going to shape up for your life. The most significant use of yearly horoscope report is not that we will be able to recognize what is coming but in the highly unpredictable times, being forewarned about the impending changes or unfavorable circumstances will let you prepare mentally to face such challenges and is a boon that gives us a head start over others. Get valuable insight from our yearly horoscope 2015 report regarding the areas of life on which you need to especially concentrate your energies for making the most of the coming year and limiting your difficulties. Whether your health is likely to give you trouble or should you be careful of your finances is the type of questions our report will help you to answer. Get information about various important spheres of your life like love and relationships, career, finance, health, etc. and how they all will shape up in the year 2015.